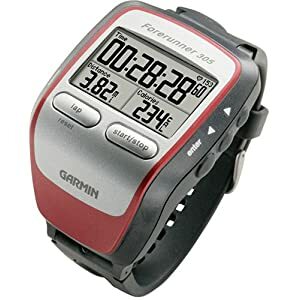 I purchased this Garmin Forerunner 405 at the begining of February 2011. I started running in the fall of 2010 and was interested in measuring and monitoring my progress. I purchased the Nike+ Sportband at first and used this as my primary training tool for both indoor and outdoor runs until I bought this. The problem with a non-GPS unit was some inconsistency in measuring my distance on a treadmill vs my natural outdoor stride. I still use the Sportband for indoor runs but decided I wanted to get more accurate data as I begin to train outside with changes to topography and measurements of heart rates, etc. I logged my first run (a 7 miler) with quite a lot of variation in elevation and was interested to see how accurate and effective this was tracked. I was very pleased with the results. I have since used this Garmin Forerunner 405 on all but all of my long distance runs (I am up to 10 miles with a planned 1/2 marathon next week) and have found the data to be consistent in terms of my overall pace and I can see how I am progressing. The device itself is fairly easy to use for its basic functions. I have not yet delved into the mapping/navigation functions. It is very light to wear and you hardly notice it when running despite its size. The heart monitor is not uncomfortable and it does help show you how hard you are working (however the basic screen heart information is quite small although this may be customizable within the settings). One of the benefits is when uploading to the Garmin Connect site . Not just for monitoring your training but also to look for routes that you want to try yourself. Now that I am training for longer runs I am looking around my zipcode and seeing runs of the distance that I want to run. Having the ability to plan runs ahead of time and print a map (I tuck it into my shorts in case I get lost) is very helpful so you can know your range and direction in advance of getting out the door. Overall, for an amateur runner this Garmin Forerunner 405 is a great tool and the price is right vs the newer models. Highly recommended .